Queen Joséphine Art Café is located in the park surrounding Oscarshall. It is open to the public the same hours as the summer palace. 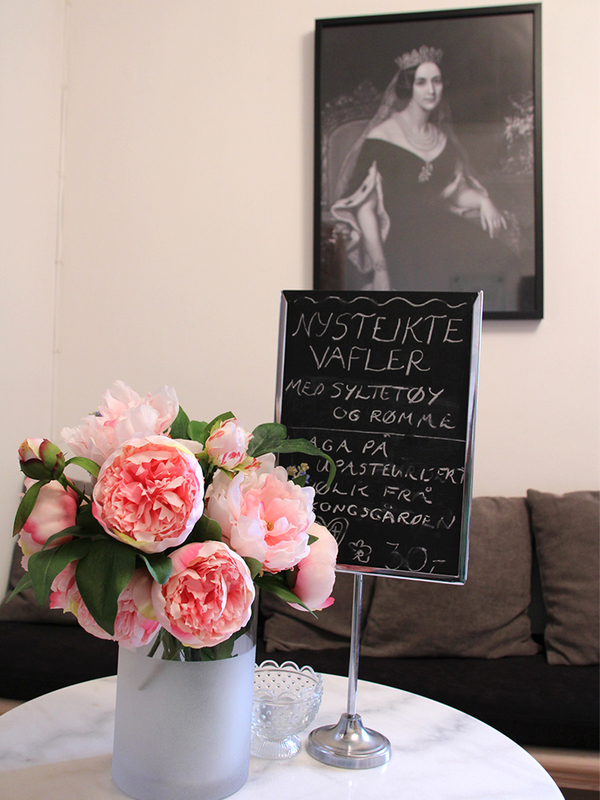 You do not need a ticket for Oscarshall to visit the Queen Josephine Art Café. The café as well as the park surrounding the palace are open to the public during the opening hours of Oscarshall. "Queen Joséphine" has seating both inside and outside. Photo: Liv Osmundsen, the Royal Court. You can also get a small packed lunch to take out into the park. Alcoholic beverages are not available. Between 2013 and 2016 this was an art gallery - the Queen Joséphine Gallery - with a small café attached. This changed in 2017. When Queen Sonja Art Stable was to open in the Palace Park, it was decided to close the gallery at Oscarshall and rather expand the café. However, art still has its place here. On the walls are graphic prints, courtesy of the Queen Sonja Print Award (QSPA). They are for sale, so if interested, please contact the QSPA. Completed in 1852, the summer palace of Oscarshall was commissioned by King Oscar I and bears his name. However, Queen Joséphine was also deeply involved in the project. There are those who claim the Queen’s involvement was so major that the small palace should have been named after her and not after the King. A wide array of Norwegian artists and craftsmen were commissioned in connection with the interior decoration and furnishing of Oscarshall. Important artists of the time include Joachim Frich, Adolph Tidemand and Hans Gude. Both King Oscar and Queen Josephine took a great interest in art, and laid the foundation for the fine collection of older Norwegian art at the Royal Palace today. The new gallery is therefore a natural extension of a long tradition at Oscarshall.